Kourtney Kardashian is having a great time since Christmas with family. Kourtney rekindle with her ex, the father of her kids; so they can have a family moment. She has a great time in Aspen enjoying the snow and the cold. Then she moved to single life. They split up in summer 2015, but it seems the only frosty part of their relationship is falling from the sky. 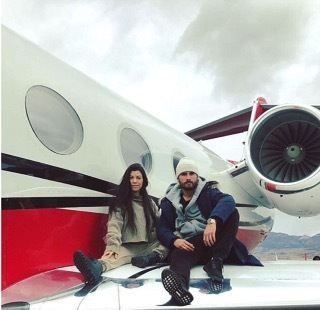 Kourtney Kardashian and Scott Disick seem to be having a blast on their snowy family vacation in Aspen, Colorado. Kourtney Kardashian is 37 years old and she is part of the reality TV show Keeping Up With The Kardashian. She likes to post picture of her in bikini, at the gym? Partying, pictures of her kids and pictures of her family. 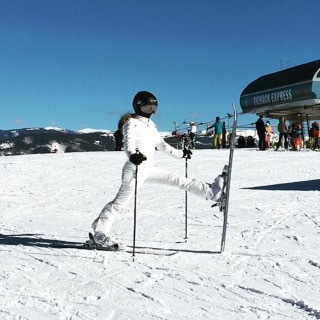 She is not the only celebrity who went to enjoy holiday seasons in the snow, especially in Aspen. The pair had a great time with their kids. Kourtney Kardashian spent holidays between snow and beach. The best of both worlds.